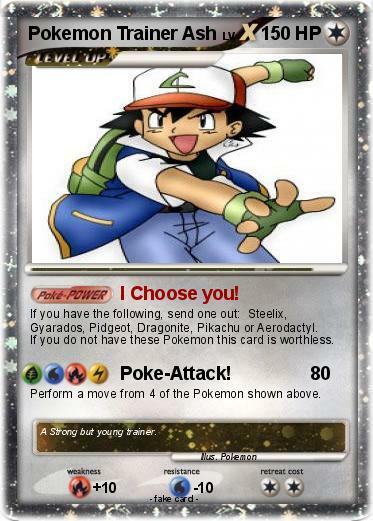 Attack 1 : I Choose you! If you have the following, send one out: Steelix, Gyarados, Pidgeot, Dragonite, Pikachu or Aerodactyl. If you do not have these Pokemon this card is worthless. Perform a move from 4 of the Pokemon shown above. Comments : A Strong but young trainer.